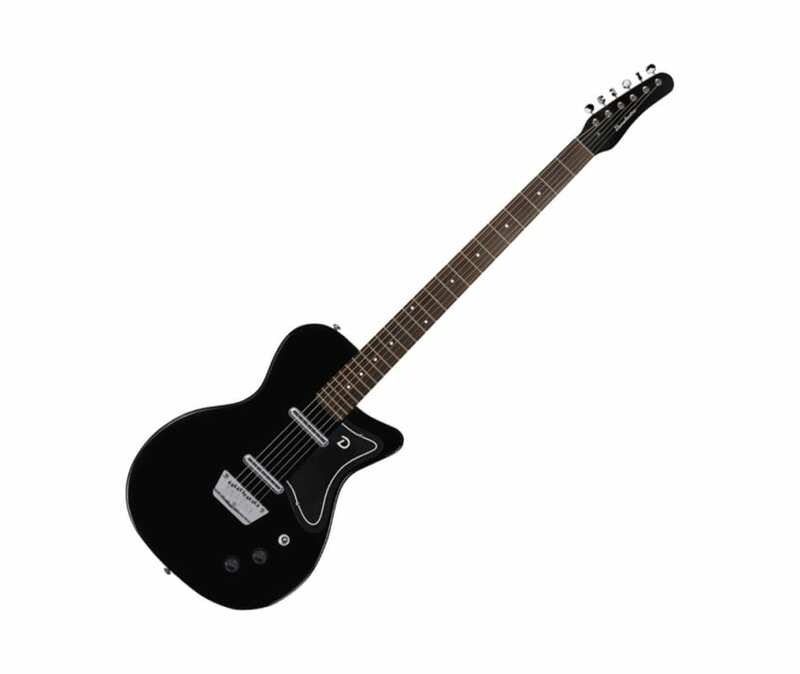 The Danelectro '56 Baritone Electric Guitar is tuned down a 4th (B to B) from standard guitar tuning. It features high impedance, high output Lipsticks that produce rich, round bass tones unlike anything else using simple a master volume, tone and 3-way switch. With a short scale it's easy to play and comes with 24 frets and a cutaway that lets you get all the way to the top. Other Danelectro accents include a stylized pickguard, "Dolphin" head stock design and adjustable bridge. Case sold separately.